If you haven't got a clue about what it feels like to be stranded at high seas on board a tiny boat, Raft is the game you need to play. 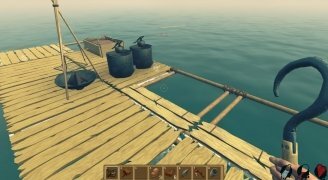 This Survival Simulator for Mac (that also has versions for Windows PC and Linux) places us on a humble wooden raft on which we have to move around and protect ourselves against any lurking dangers. If you're familiar with sandbox-type games there's not much we can tell you about Minecraft's crafting technique and how necessary it is to be successful. It's all about building tools and whatever else you need using materials and objects you come across. A very hostile environment to survive in. 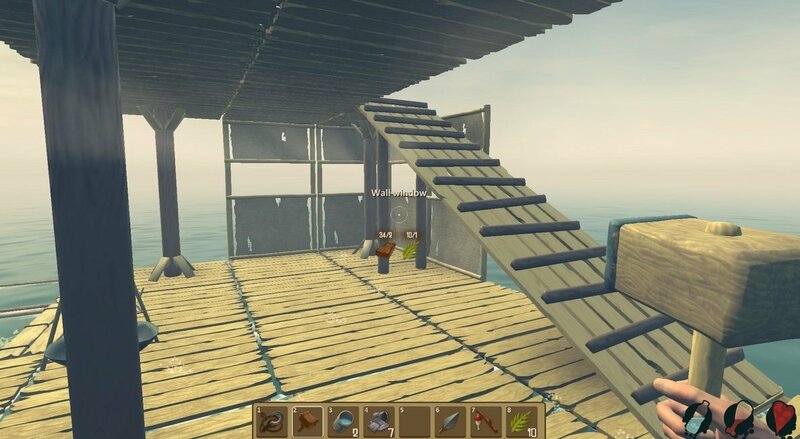 Here, nothing's different and our survival will depend on our crafting skills as our food, water and defenses rely on what we find in the sea to turn those objects into the elements we need to expand our shelter, build weapons to defend ourselves or tools to filter water, fish or cook. 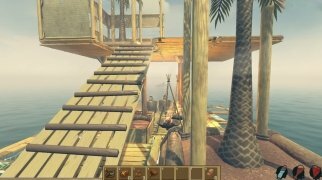 The game's scenarios have reached a decent level of detail and the game is very fluid. You won't need to meet demanding requirements on your computer, being able to run the game on any more or less recent version of OS X or macOS. 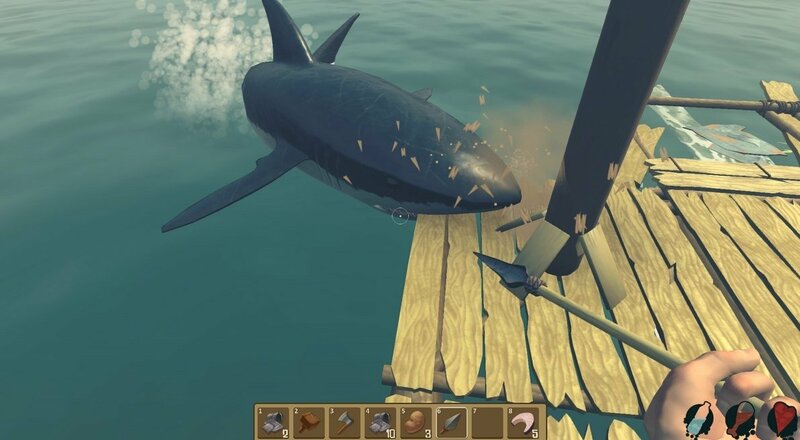 You'll be able to view the ocean's immensity to the slightest detail, your humble floating home or the sharks that are out there to gobble you up and destroy your boat. Without losing sight of your life, food, and water levels, remember that building weapons and tools to purify the seawater is a must. Rather than cheats, these are a few tips that you're going to need to be able to overcome all sorts of adversities such as thirstiness and sharks. 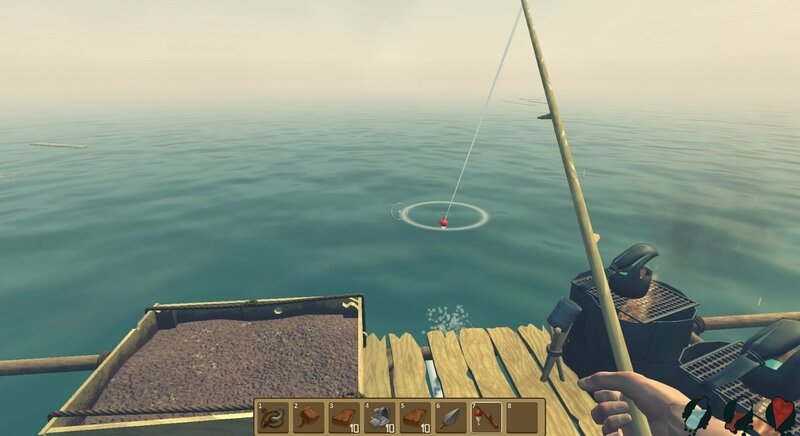 Collect everything you see floating in the water because it might come in handy. 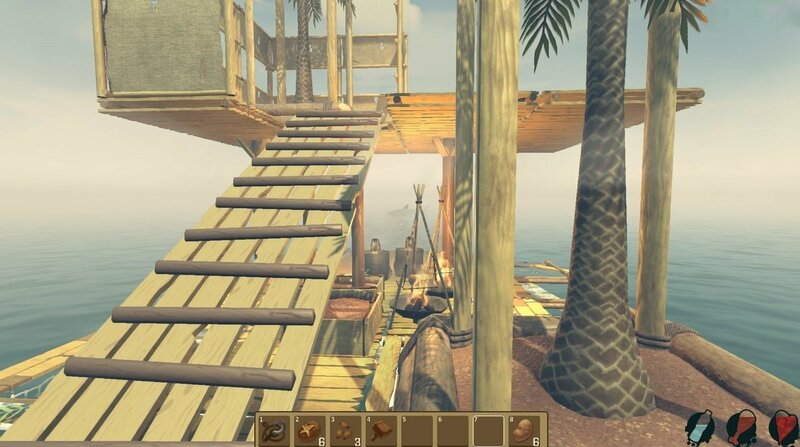 Build or craft objects to create weapons, tools or expand and improve your shelter. Go fishing to not die of hunger. Filter seawater to use it for cooking and drinking. 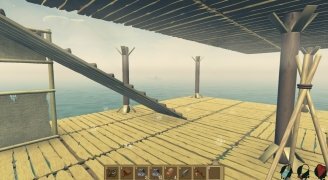 Build a shelter on your raft as if you were Kevin Costner in Waterworld. 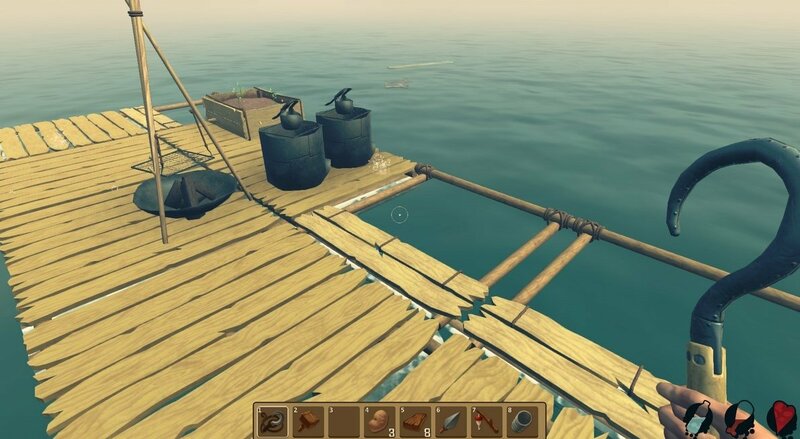 If you want to play this game on Android, thanks to its APK, or on iPhone or iPad, you should know that there's a similar version called Raft Survival Simulator. 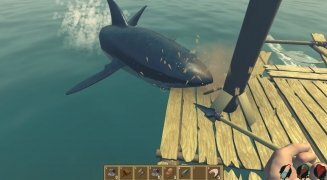 It's not exactly the same game but the gameplay is identical and it's equally entertaining.